Singapore is home to some 40,000 companies which include large multinational corporations (MNCs). Many of these MNCs have placed their headquarters and chosen to fulfil their R&D functions here, boosting the growth of our overall economy. The Economic Development Board (EDB) plays a critical role in continuing to attract leading multi-national corporations to invest in Singapore. Beyond that, it helps these companies grow their business and improve their existing operations through innovation and increased productivity. EDB fulfils this mission for companies belonging to a wide range of industries, including Consumer Business, Medical Technology and Precision Engineering. Apart from increasing the growth of our economy, EDB's work creates good job opportunities that offer local talent multiple pathways for success. Sim Zhilin champions the mission of EDB as the Assistant Head of the Precision Engineering (PE) Division's Machinery and Systems team. This is where he develops, drives and executes industry strategies to encourage the adoption of emerging technologies and strengthen the talent pool in the PE sector. He tells us, "I'm thrilled to have a hand in enabling the progress within this sector and helping to realise the potential of emerging technologies. My efforts would potentially culminate in the creation of greater career opportunities for more Singaporeans, and I find this extremely rewarding." EDB's critical mission of attracting international investments must be fulfilled by capable leaders. This is why EDB takes effort to implement corporate learning and development programmes to enhance the skills of its people throughout his/her career, particularly at milestone career transitions. Career development conversations are also enabled by a practice of job rotations, aimed at maximising the potential of every talent. As the nature of EDB's work necessitates interactions with investors from all over the world, EDB also supports officers' learning and mastery of foreign languages. For scholars, EDB shows its commitment to groom its people through the EDB scholarship. 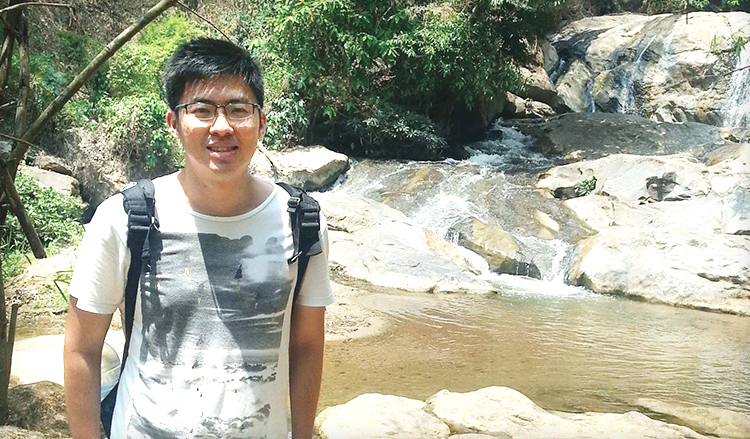 Zhilin's scholarship gave him the opportunity to pursue his bachelor's and master's degrees in France, where he was exposed to an education culture that emphasises hands-on learning. In fact, he had the chance to pursue a year-long study and internship programme with a French firm that had a laboratory in Shanghai as part of his graduate programme, which deepened his understanding of the engineering industry. He shares his experience, saying, "It was certainly challenging to study under an unfamiliar system and in an entirely different environment. However, the experience was definitely rewarding. My fluency in French and adequate understanding of the French culture allow me to interact effectively with management executive officers from French companies, as well as trade delegations from francophone countries such as Africa today." Further highlighting EDB's commitment to develop its talent is Zhilin's upcoming rotation to Sweden in Q3 2015. Zhilin will take on the role of Centre Director in EDB's Stockholm office, where he will engage prospective investors in and around the region, as well as spearhead initiatives to push EDB's growth further. This will certainly allow him to create a different kind of impact to the economic environment. Certainly, Zhilin awaits new opportunities, new experiences and new insights – all of which will help him create even greater economic and business opportunities for EDB and Singapore. We hear from IDA scholar Leong Jun Xiang, whose role in IDA allows him a ring-side seat in Singapore’s drive to grow our cyber defences.